I disagree, and also this has nothing to do with ethics. It does, in the sense that the situation makes it possible to dodge the ethical questions. And what is more convenient than to dodge ethical questions...? As for the possibility of existing life, it will be disturbed by exploration, and a little more never hurts, so ultimately there's nothing to stop it, it's just a matter of speed. Anyway, one can always argue that life isn't something static. Life spreading from one world to another could also be viewed as a consequence or evolution of life and its inherent quest for survival. I may lean more toward the green side, mainly as a result of data showing how common planets are. Would we with current technology be able to unambiguously recognize exoplanets that were 'terraformed' by alien civilizations? No, not with current technology. In fact I have a hard time believing that we could ever know for sure without actually going to the planet in question. From interstellar distances I don't think distinguishing a natural 'garden world' from a terraformed one is possible. The only way you could tell would be to monitor the planet's characteristics over a long period of time, and observe how they change. In other words, you'd have to catch alien terraformers in the act of terraforming in order to know that they were doing it. Nor do I, but people are influenced by the actions and opinions of others, so terraforming being commonplace in the cosmos might make people a little more comfortable with the idea. That is the biggest problem... proving that life exists only requires finding a single example of that life. Disproving that life exists would require a simultaneous search of every molecule on the planet - clearly impossible. So for practical reasons we would have to accept that if we had not found life after an extensive search for every conceivable kind of life in every conceivable habitat, then we should conclude the world to be lifeless, even though that conclusion was not "proven" in the strictest sense. It does, in the sense that the situation makes it possible to dodge the ethical questions. Part of the purpose of us discussing the ethical questions here is because everyone else doesn't. Talking about the fact that everyone else doesn't, and why, instead of talking about the ethical questions themselves goes against the topic of discussing the ethical questions. Yes, but there is a huge difference between taking steps to minimize any potential impact on that life, and taking steps to radically alter its environment. Even though those both involve "disturbing the life", they are quite opposite positions. Yes, but iterations of actions even with "steps to minimize any potential impact" will accumulate. For each line drawn there will always be a border zone of minimal impact around which a new line is drawn implicitly. Is terraforming the sun actually possible and realistic? Terraforming in general is in my opinion not realistic. And speaking of terraforming the sun underlines that absurdity. I would like to hear your reasoning behind this view. yeah steeljaw, sorry for that. me and apenaap were just joking in that thread while you took it seriously. I'm not sure where to start... The idea is to change the atmosphere of a planet: composition, temperature and probably pressure. And most likely make surface water abundant. The water part is quite easy, assuming that the water is already present locked in ice or sub-ice oceans, since it will then come naturally if the atmosphere is changed to something useful. So let's just look at the atmosphere part. First, there are strong reasons for why the atmosphere of a planet is what it is. It depends on several things that we can't do much with. Planet mass, for instance. Its orbit. Its magnetic field. Its composition. Take Mars. Mars needs to have a much thicker atmosphere. The composition of the atmosphere needs to be totally changed. It needs to be warmer. Even if we could tow Mars into a warmer orbit, it would just make it even more difficult to make the atmosphere "stick" due to Mars' low escape velocity. And the lack of a proper magnetic field makes even worse. Let's say that we want to terraform a planet which is nearly like Earth's, not fundamentally different like Mars'. That shouldn't be too hard? Sorry. Consider Earth. Over the past 75 years or so, humans have managed to change the atmosphere in a detectable way by increasing CO2. But it has taken perhaps several hundred million man years, using advanced technology and machinery, to produce the fuel that changed 0.00001% of the atmosphere. Can we send millions of people light years away to a planet hostile to humans, with all the needed infrastructure and machinery? And then we wouldn't just need to change 0.00001%, but most likely several percent. Ok, let's say that we find a planet and a relatively simple way to trigger a runaway process that alters the atmosphere in a benign way. Well, wishful thinking. That would be a planet with an unstable atmosphere. Which we do not want. If there was a way for the planet to obtain a stable atmosphere, surely nature would have found a way given a billion years or more? Earth's atmosphere has changed in geological timescales, but it has taken a lot of time. Humans can't wait several million years. My conclusion is that terraforming is wishful thinking. It might well be quicker to find a planet with an already suitable atmosphere than a planet that can be successfully terraformed. Or perhaps it's more feasible to genetically engineer a human breed capable of living in an unaltered atmosphere. I really liked the idea of terraforming the sun. 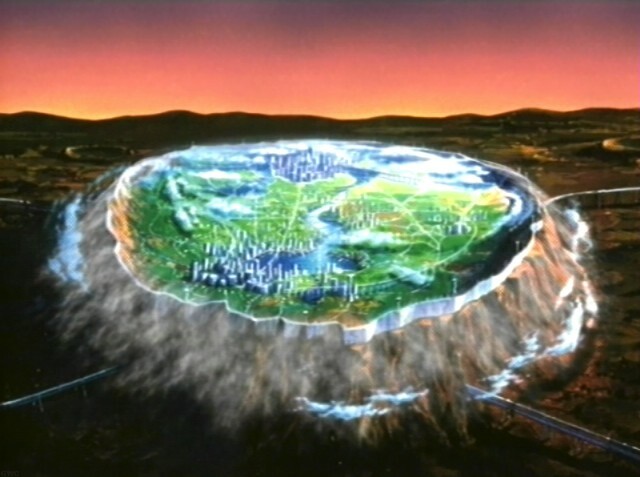 It shows the absurdity of terraforming. Who says you have to terraform the whole planet? Why not a few craters? Like this but imagine a dome. The term "terraforming" implies changes at global scale as midtskogen said, creating Earth conditions under a dome could be more achievable but that's paraterraforming, a different term for a different scale. We've changed the atmosphere composition by 0.01%. (~100 parts per million). And it doesn't take a huge change in the composition to dramatically change the planet. This is the non-intuitiveness of the greenhouse effect: the radiation balance can be affected by very small changes in the concentration, because it is the optical depth of the radiatively-active gases that matters, not their relative abundance out of all the other atmospheric gases. Ultimately I do agree with you. To precisely change a world like Mars into something comfortable to humans would, I think, prove to be a lot more challenging than we might expect it to be. I think a lot of people trivialize the surface pressure part of terraforming Mars, for instance. There are a lot of ideas for techniques that have good theoretical merit, but we haven't rigorously tested them in the real world, on that scale, in that environment, so I would expect to encounter surprises once we actually tried to do so. But I also don't think it's fundamentally impossible or absurd. Except for a gas giant. Or the Sun. Watsisname, I guess for what i understand that to increase the atm pressure we need to release more and more gases into the atmosphere. i guess with the case of mars we can do that, it may take a while but as we get more advance, we may do it in couple of Decades. for the ppl here who didnt know. the 2020 mars rover will have some instrument that transform co2 from mars atmosphere into oxygen and release it to mars atmosphere. this experiment will show us if its really possible to do and lets hope its gonna be successful! that instrument gonna be small scale and will form oxygen in small scale, but if it gonna be successful, who knows what we can do with large scales! "The main objective of this experiment is to produce oxygen on Mars, where the atmosphere is 96% carbon dioxide. Scientists will record the efficiency of the O2 production rate, and the resulting oxygen and carbon monoxide will be vented out after measurements are done. To achieve this objective, the MOXIE instrument has a goal of producing 22 g of oxygen (O2) per hour with >99.6% purity during 50 sols (Martian days). High purity is crucial as future astronauts will breathe it. NASA officials stated that if MOXIE worked efficiently, they would land a 100 times larger MOXIE-based instrument on Mars, along with a radioisotope thermoelectric generator. Over the course of some years the generator would power the system, which would produce up to two kilograms of oxygen per hour, and fill an oxygen reservoir that could be used when astronauts arrive sometime in the 2030s. The stored oxygen could be used for life support, and can also be used as rocket propellant oxidizer to power their return trip to Earth. The carbon monoxide (CO), a byproduct of the reaction, may also be collected and used directly as propellant or converted to methane (CH4) for use as propellant"
Sorry, for some reason I though ppb, not ppm, but as you say, W, sometimes it doesn't take much to change the temperature (e.g. methane). Temperature is of the lesser concerns. Even with just stone age technology humans can endure both -30C and +30C permanently. What it takes to get within an acceptable temperature is nothing compared to what it takes to get an acceptable chemical mix of the atmosphere. And that is extremely hard to change. 0.01% is totally irrelevant if the wrong gases make up >95% such as on Mars and Venus. Pressure wise, low pressure is the main problem. We need at least 50 kPa (a bit less though if pure oxygen). I don't know what the upper limit for pressure is, but probably pretty high. But high pressure makes it even more difficult to change the atmospheric mix. i cant see it happening in the near future, but it is possible! lets wait to see if that experiment is successful and hope it is. and if it can convert co2 to oxygen very good!